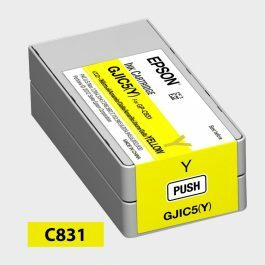 Epson GJIC5, C831 Cyan Ink Cartridge – Color Label Solutions, Inc. 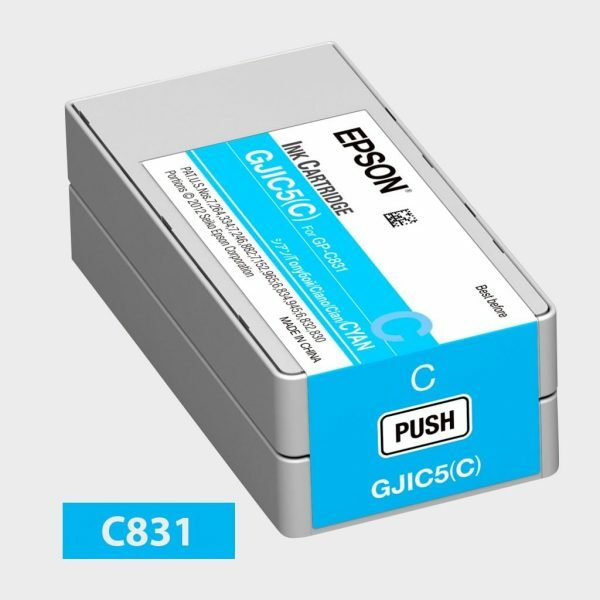 This ink cartridge is a genuine Epson brand replacement cartridge for the Epson ColorWorks C831 Inkjet Label Printer. This cartridge contains pigment-based cyan ink, which is necessary for producing GHS – BS5609 compliant labels that can withstand long-term exposure to saltwater and chemicals. 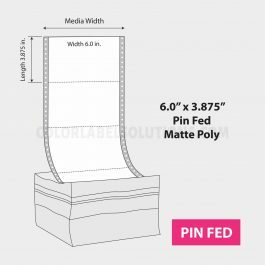 8.325″ x 5.75″ pin fed/fan fold inkjet coated matte paper labels. 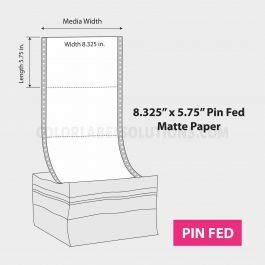 2/fold on 11.75″ perf. 2,000/case. $/case. For use with Epson ColorWorks C831 inkjet label printer.